So Girls how are you girls doing..I am happy to see that Blogger is finally in a working condition.Well today I am here to do a couple of reviews that have been requested. I actually love FREEMAN Products & they have never appeared to let me down. Freeman Beauty Labs know that beauty is more than skin deep – that’s why we’ve loaded our products with botanical ingredients that naturally cleanse, moisturize, soothe and refresh to have you looking and feeling your best. At Freeman, we live and breathe beauty. We are constantly researching the latest fresh ingredients and we’ve been doing it for over 30 years, meaning we have all the know-how to create products that are honestly good and are honestly good for you. We know that looking like a million bucks shouldn’t cost a million bucks and we are proud to offer affordable products that make premium beauty care within reach to all! 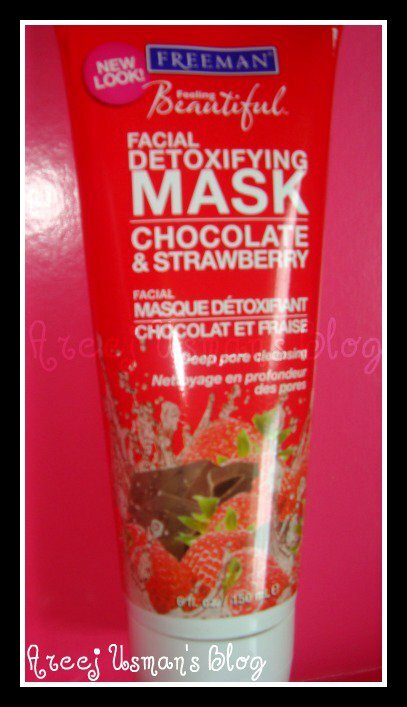 First of all the concept of having a mask with chocolate feeling makes me feel so good.Lately these chocolate face masks have been all over the place & it says that a Chocolate mask gives u vibrant & glowing skin immediately.Similarly when I saw this product on the shelf I couldnt resist buying it.I had to try it. I got this product for Rs.275 from Al-Fateh DHA Lahore & its very reasonably priced. 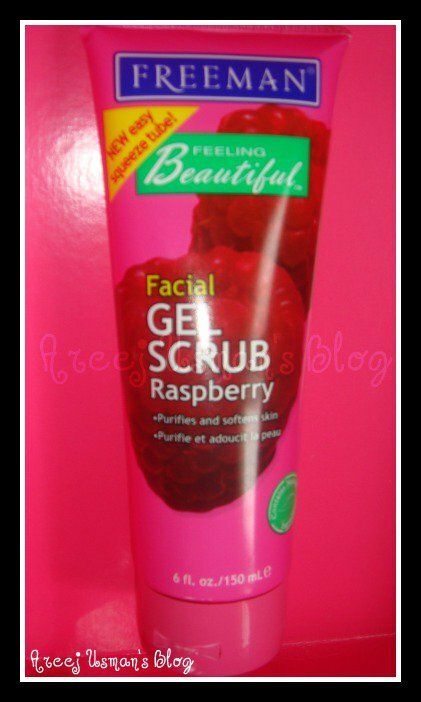 As it is a Gel scrub its consistency is jelly like with small granules that appear to dissolve on scrubbing.The Gel scrub produces a smooth lather and helps remove the dead skin cells & thats how it reveals brighter skin.This scrub has a cooling effect as soon as you apply it on your face.I love to use this product every other day specially whenever I spend a day out & want to freshen up as soon as I get home.I think this is one of my favorite products for this summer & a must have for all of you who want to beat the heat,freshen up & relax in the sweet smell. I got this product for Rs.275 from Al-Fateh DHA Lahore. I love this product myself & definitely would recommend this to you girls as well.You can visit Freeman here & find them on FB here. I ll be doing some more reviews on FREEMAN products very soon ,so stay tuned.